A natural right-footer, even if he’s equally strong on his left, he primarily plays a left winger and his dribbling and turn of pace are his key attributes. He came through the Hajduk Split youth system and signed for French side Sochaux in 2006. 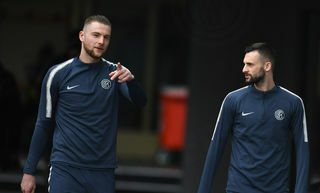 After a loan with Roeselare, he moved on a permanent deal to Club Brugge where he made 33 appearances and scored nine in the league while in the UEFA Europa League he scored five in seven appearances. In the following season, he improved his goalscoring return with 22 goals and he was the top scorer in the Jupiler League. He was also recognised as the best player in the competition. In 2011, Borussia Dortmund put their faith in him and signed him. For Dortmund and then Wolfsburg, he scored 33 goals and picked up 24 assists. 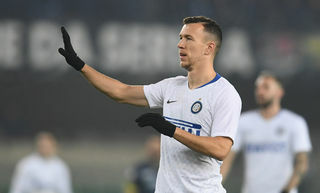 The Croatian caught the attention of Inter who signed him in August 2015. His unpredictability combined with great technique make him one of the best finishers and assist-men in Europe. With 20 goals and 18 assists in his first two Inter seasons, Ivan’s important statistical output has made him a player at the heart of the coach’s plans. It’s been the same story for him with Croatia where he made his debut for the national team on 26th March 2011. 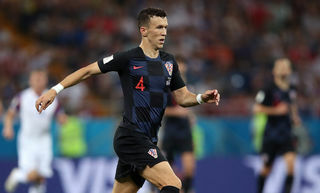 Perisic: "It doesn't matter who scores, it's all about winning"